Ok, I must confess: I haven`t been the greatest fan of Amarone`s in the world. Sure, I like them, dont get me wrong, just not enthusiastically. I`ve felt them often too unbalanced for the price, and just a tad bit bombastic, hedonistic and overly alcoholic for my taste. During my last Italian trip, original plan, after staying in Piemonte, was to drive straight and fast from Turin to Venice. No stops. But tired and also annoyed at the chaotic autostradas, we decided to change our plan, and stop for a day at Verona. A very atmospheric and beautiful old city, and not overly touristic (in Italian standards). Perfect for a few days stay. Our day of shopping, and just strolling aimlessly in the old town, ended suddenly, when the pleasant and warm early evening weather turned quickly very bad; chilling autumn wind with heavy rain pouring. So what to do? 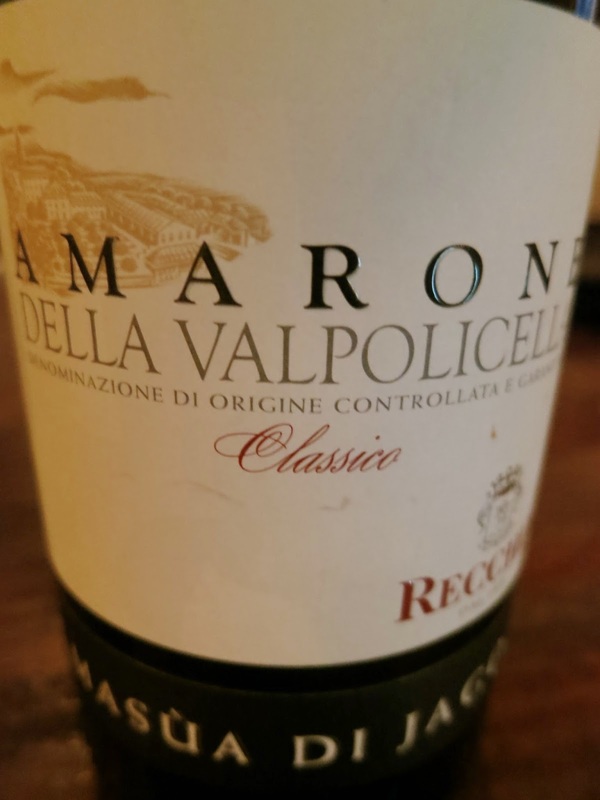 Find a wine bar, and stay there.. A time and place for Amarone! Color is opaque to the extreme, like a stout beer. Aromas are really jumping out from the glass; loads of ripe fruitiness, plums, raisins, chocolate, tobacco leaves. Very intense indeed. Powerful mouthfeel, full of ripe plums, raisins, black chocolate, spices. Classic Amarone stuff. Tannins are a quite low, only drying a bit at the end. Bitter, but not unpleasant finish and aftertaste. Alcohol is quite well integrated, only slightly warming, which is nice. I'm going back to Verona in January for the release of the 2011 Amarone. I'll be there for a week visiting wineries and attending the event. I've visited Verona for day trips a couple times, but anything that you found intriguing or worth visiting? It's been about 5 years since I've been there. "Release of the 2011 Amarone", beautiful, sounds like a awesome trip! I`m afraid you are now asking from a wrong person; I forgot to mention that that was indeed my first visit.. I´ve always managed to somehow avoid it, although I`ve heard so many good things about it. So not many tips to give, can say tough that the "Enoteca Dal Zovo Oreste", in the old town was really charming.